A few years back everyone was into the YSL Arty ring and since then, bold, architectural statement rings have been all the rage. Going beyond the traditional "cocktail rings," today's statement pieces are all about capturing the rugged shapes of nature or evoking a glamourous style from the pages of history. 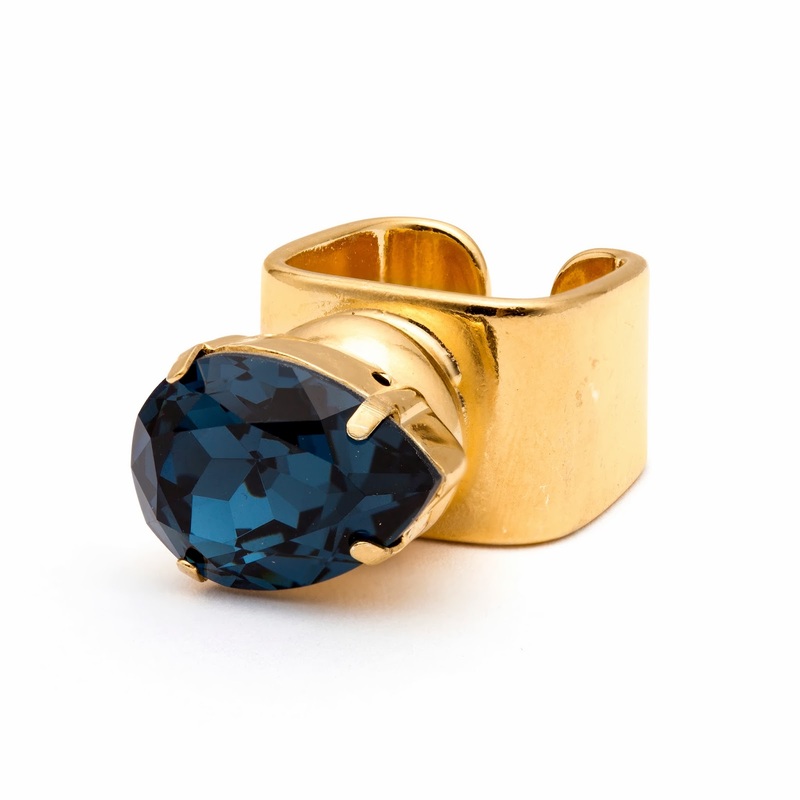 Case in point, the beautiful Kip ring from Lionette by Noa Sade. I've only recently learned of this jewelry brand, but it is already popular with celebs like Rachel Bilson and Rihanna. Formed by designer Noa Sade and entrepreneur Vanessa Lee, the NYC based line borrows heavily from the looks of glamourous downtown society girls. A little bit luxe and a little bit rock n'roll, this ring is a perfect example of that hard to pin down mix of edge and style.